Open year round, check in at 4 pm or earlier by arrangement. IslandSkye is a country casual bed and breakfast, your home away from home in the Cowichan. We feature two suites with ensuite and private baths that overlook gardens, Lake Quamichan and Mt. Prevost. 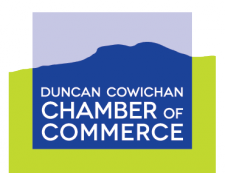 Your hosts Val and Paul wish to share with you the beauty, culture and cuisine of the Cowichan. Join the other guests and your hosts for a beverage and appetizer at 5 pm each day and share your plans and experiences of Canada's 'New Provence'.